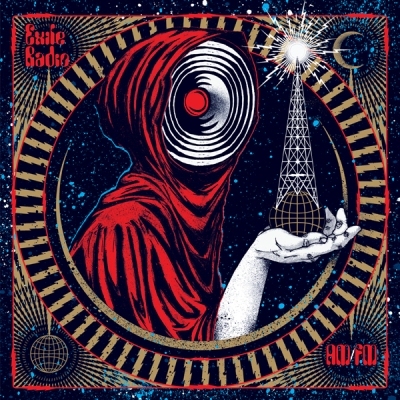 On his 2009 album, Radio, Exile (producer for Fashawn and Blu, among others) tried to replicate a radio listening session, even interspersing frequency noise and snippets of pop hits amidst loping instrumentals. Radio: AM/FM is just as chaotic. He invites much of the L.A. music scene to contribute to this remix album, from Sa-Ra’s Shafiq Husayn (“It’s Coming Down”) to beat makers Samiyam and Free the Robots, both of whom take a crack at “Population Control.”) On its best tracks, however, Exile reconfigures his Radio originals into insightful vocal showcases for rappers Aloe Blacc and Co$$ (“So We Can Move”), Muhsinah (“Stay Here”) and, of course, Blu (“Love Line”). This entry was posted in Reviews, Short Cuts and tagged Exile, Plug Research, Rhapsody. Bookmark the permalink. Dope album. Exile is the man!